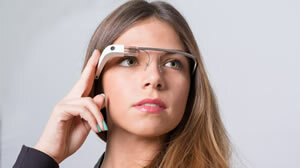 Is Google Glass Staging A Comeback? Terri Hiskey for MinuteHack: In the few years since Google Glass fell off our radar, the development of new Internet of Things (IoT) and Industry 4.0 technologies have transformed smart production processes to pave the way for a new technological age that’s radically transforming industry and production value chains and business models. Whether that is AI, machine learning or 3D printing, manufacturing continues to be one of the most technologically advanced industries around the world. Advanced manufacturing is driving the need for increased connectivity and ever more sophisticated data-gathering and analytics capabilities.